I'm a bit lazy when it comes to moisturising after a shower. Bad blogger. 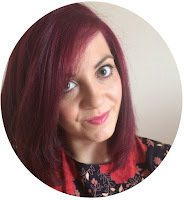 I want nothing more than a quick fix of moisture after a shower, so I can stick my pyjamas or clothes on and chill without the material sticking to me! 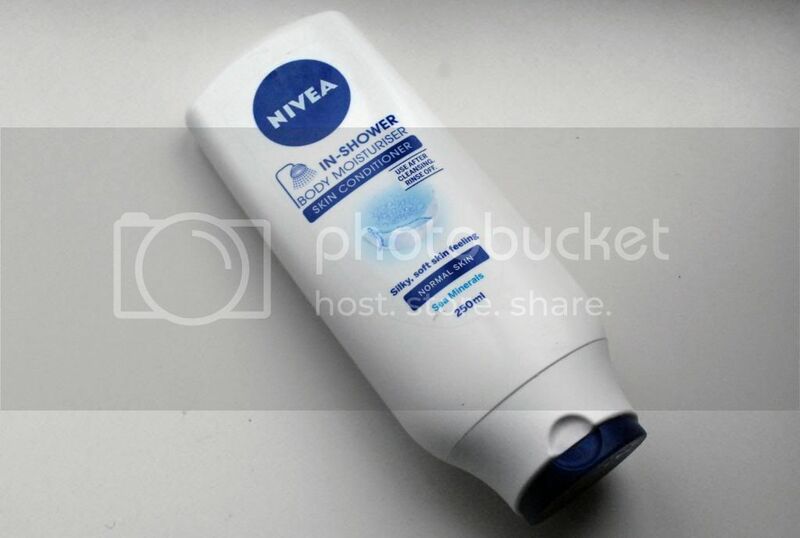 When I heard about Nivea's product, where you can apply a moisturiser whilst you're still in the shower, I had to check it out to see if it would end my moisturising laziness! 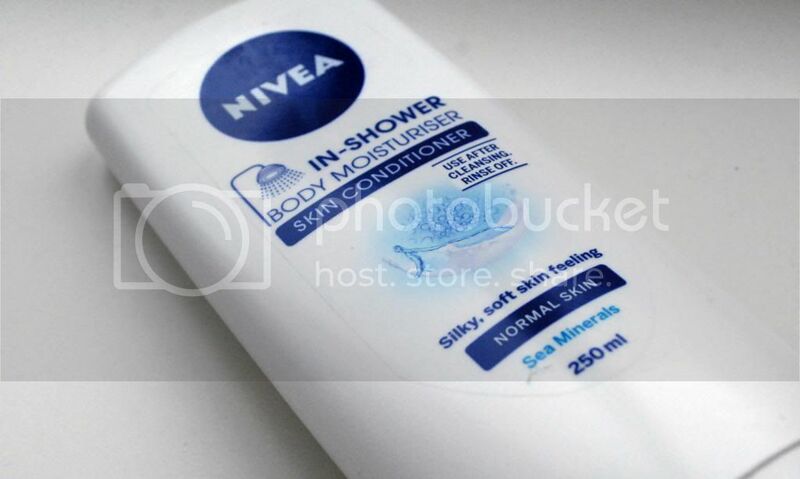 You apply this moisturiser after you've showered - stand away from the water, apply the conditioner and then rinse off. Simple! Initially, the moisturiser made my skin feel really soft as I applied it. It's quite a thick, creamy formula and you don't need much to spread it across your skin. Downsides to it? As you rinse it off, you end up with a slightly icky feeling on your skin... There's no other word to describe it! You can feel the product is still on you and yet it won't go away completely. Now, whether this is because I applied too much, or I was a bit lazy in the rinsing process, I have no idea, but you don't get a moisturised feel like you would with a standard body lotion! After a while (once the icky feeling has worn off), it did leave my skin feeling smooth and soft. I wouldn't say that it made much of a difference to how my skin usually feels without moisturising after a shower though. I probably won't repurchase this product once I've used it up. It's great if you're in a rush, but I wouldn't rely on it for your moisturising needs! Have you tried this product? What's your favourite body moisturiser?